My first visit to ARP was in August of 1970. The company was then known as Tonus, Inc. and was located in what looked like a large garage at 45 Kenneth Street in Newton Highlands. I was familiar with the modular Moog instruments and wanted to learn more about the ARP 2500. It was during this visit that I first met Alan Pearlman and David Friend, whose title at the time was Director of Applications Engineering. The 2500 was astonishing but, even in its most basic configuration, too expensive for me. I told David about my work and he said to keep in touch because there would be new instruments available which would be of interest. I eventually learned about the 2600 and in May of 1971 sat down with Walter Sear at his Sear Sound studio in Manhattan. Walter had been selling Moogs for some time and was now demoing the 2600. 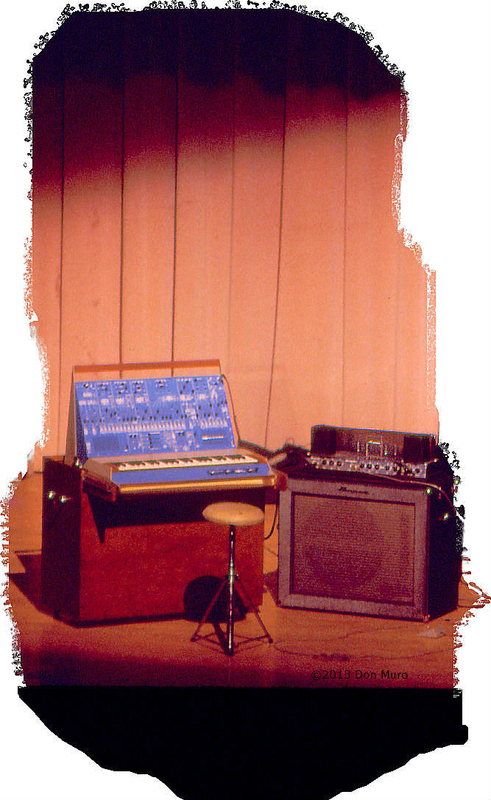 I had played the Minimoog and had used one for a multimedia concert in Newark (another story), but the 2600 was more appealing to me at the time because of its additional modules and more flexible routing system. It could produce both pitched sounds and abstract sounds quite easily. I called Dave Friend and essentially begged for one. He agreed to sell me “an early demo model” at a discounted price of $1200. And so in early July a large box arrived with my instrument (#10116; keyboard #10501) inside. I used the Blue Marvin until I purchased a 2600P (2.0) in May of 1972. For some reason I didn’t keep any records on the Marvin, so I don’t know if I sold it or even loaned it to someone. Here are some photos of the instrument as well as some promo shots from 1971.